One of the challenges of being Basque can be figuring out exactly what a Basque is. Is it somebody who speaks Basque? There are a lot of people who don’t but still consider themselves Basque. Are they wrong? Is a Basque somebody born in the seven provinces of Euskal Herria? That’s not a perfect solution either, because there are many who were born there, whose parents and grandparents were born there, who say they’re Spanish or French, not Basque. By contrast, there are thousands of newcomers to the area who believe they are Basque. The problem with them, as with anyone else who struggles with the question, is that they’re really just giving an opinion. There’s no Basque passport. It doesn’t get any easier if you are one of the millions who weren’t born in the Basque Country but whose ancestors were and then went somewhere else. I’m one of those. My grandparents were born in Bizkaia. In the early twentieth century they immigrated to Boise, Idaho, which at that time was a small frontier capital with unpaved streets. My mother was born in Boise, where she met my father, who had no Basque heritage but became deeply interested in the Basques and lived in the area for many years. I was born in Boise. I didn’t learn Basque until second grade and still haven’t mastered it. So am I Basque? And can I just declare that on my own? And does it matter that much? Maybe it doesn’t, but it’s still a question I think about occasionally, including recently as I was re-reading Mark Kurlansky’s fascinating book, The Basque History of the World. 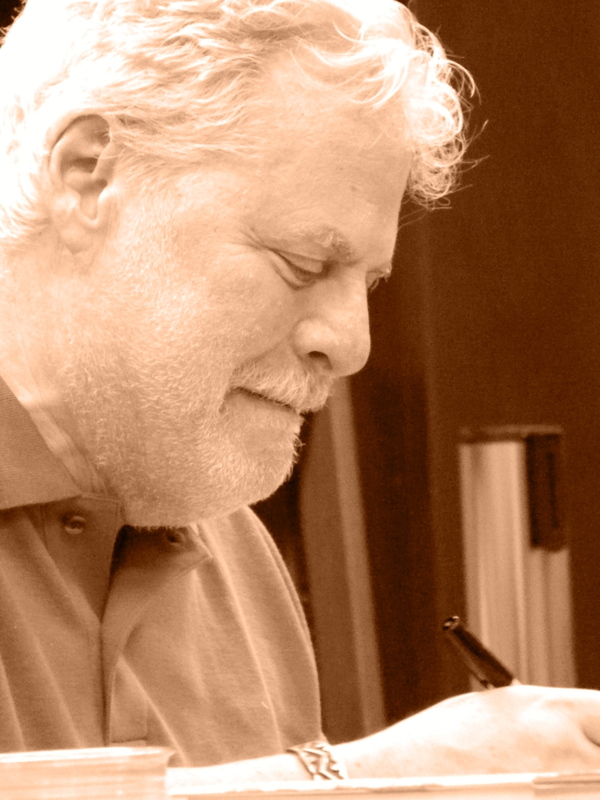 Kurlansky is a celebrated author who has published more than two dozen books on an array of subjects, including the cultural impact of 1968, the legendary Jewish baseball player Hank Greenberg, and the history of salt. His 1998 book Cod: A Biography of the Fish That Changed the World won the James Beard Award for excellence in food writing and received favorable reviews from multiple U.S. publications. 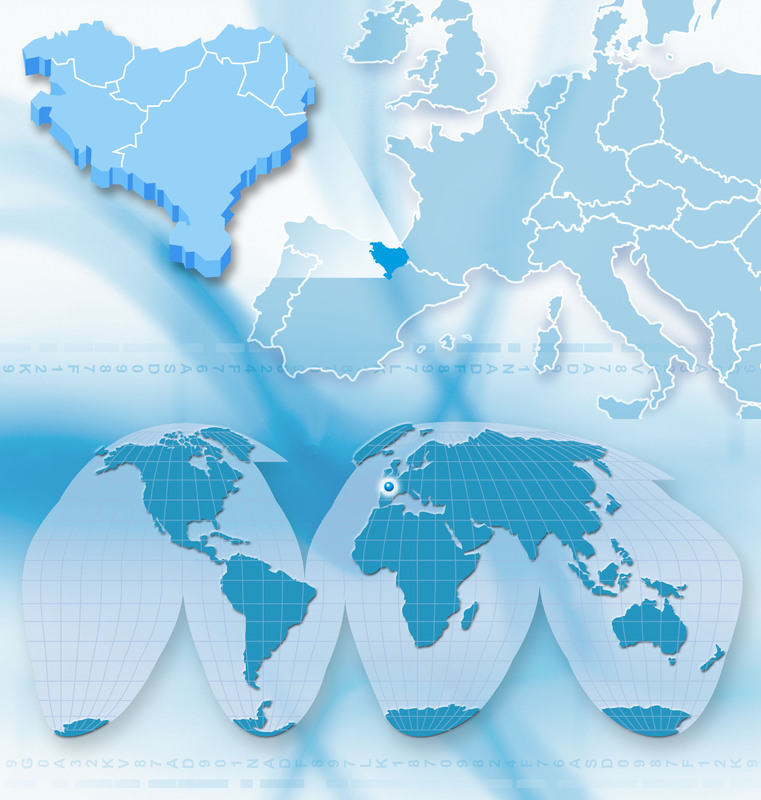 So when The Basque History of the World was published in 1999, it was greeted with a significant amount of interest, particularly among Basques in the U.S. It wasn’t a frequent occurrence to have a book about Basques reviewed in major American publications or, more generally, to have the Basque Country analyzed outside the context of an ETA bombing or a travel piece. The publication of The Basque History of the World was a sort of triumph for people like me. There have been other books in English about Basques, but 15 years after its publication, The Basque History of the World still stands as one of the few comprehensive histories of the Basque Country that’s accessible to non-academics and to those who aren’t Basque, like Kurlansky. The genius of Kurlansky’s approach is to describe the history of the world strictly from a Basque perspective, from the time of the caves to the construction of the Guggenheim Museum in Bilbao, with hundreds of smaller stories mixed in about what he calls “almost an imagined people.” In this version of history, Basques collide with Queen Isabella, Cervantes, the Vikings, Adam Smith, Columbus, Hemingway, Napoleon, Marx, Cortes, John Adams, Shakespeare, Victor Hugo, Mussolini, Franklin Roosevelt, Charles de Gaulle, Dwight Eisenhower, Hitler, Picasso, Henry Kissinger, and dozens of others. As Kurlansky tells the story, Basques evolve from how they are often presented an anomaly in the course of history, like an artifact that’s been isolated underground for centuries and then dug up — to being central players in history, struggling through the many changes and challenges the centuries brought and yet somehow surviving. “The singular remarkable fact about Basques”, Kurlansky writes, “is that they still exist,” and that’s a thesis he supports repeatedly. He marches through the millennia, describing how Basque existence was threatened by the Carthaginians, Romans, Celts, Visigoths, Muslims, the Spanish monarchs, the industrial revolution, and the Franco dictatorship. He shows how they managed to adapt without adapting too much, how they preserved an identity recognized around the world today by journalists, academics, food connoisseurs, artists, linguists, the European Union, the United States, and even the Spanish Constitution. “If the Basques were going to disappear it would have happened by now. It hasn’t because of a singular determination to survive. This has always been approached in a very pragmatic way, a great willingness to make concessions and compromises. A Basque doesn’t have to marry a Basque or wear a beret or dance Basque dances. A Basque doesn’t have to live in Euskal Herria. About the only thing that can’t be compromised is the language. As long as there are people who speak Basque there are Basques. Today, though the numbers are small, Euskara is not considered one of the many endangered languages. Languages are dying every month, at an alarming rate, but those who monitor this phenomenon do not consider Euskara one of the languages likely to disappear. This shows the incredible resolve of Basques to survive”. Kurlansky’s excellent book doesn’t answer the question of what a Basque is, but it provides a context for understanding why people like me think the question is worth asking in the first place, and why our kids will probably think so too. Wherever you are, you belong to something that’s been around for a very long time, that came close to extinction many times, and yet is still there. He places Basques in the course of human history and makes them matter. In the Basque Country, there are still Roman bridges standing. One elderly Basque man told me that his grandfather took him to one of those bridges, and said that while he should admire its standing after all those centuries, he should remember that the Romans are gone but Basques are still here. 14 Comments on "An Essential Basque History, Written by a Non-Basque"
I read the book several years ago prior to a trip to the Basque country to reconnect with my husband’s relatives. I was constantly quoting from the book while I was in Spain, and am constantly rereading and quoting from the book now. It’s full of information and an invaluable resource. Thank you! Thank you first off,I would really like to learn about my family’s history. I enjoy reading anything I find,please send any information you have on the Basque,I would like to read it please? Thank you. We are bringing experts in family history from Northern Ireland and the Basque Diaspora together to explain the link between the two communities and to help everyone find their roots. If you are near Boise, Idaho, we will see you March 16 and 17. There are many ways to learn your family history. If you know the region they were from you can get pictures etc. Bubers Basque page also gives a lot of info. Just type in your family name and explore. Geneanet is a genealogy site where you can look up any name and do family search. You can also do a search on Basques on Google. Have fun. All of these sites will open new links. Great article ! I am a French Basque. My Basque ancestor, Joanis Basterechea, came to Canada (Port Royale, Acadia now called Annapolis Royal in Nova-Scotia, Canada) in 1685. He was from Bayonne, France. He was a boat navigator and fisherman. He stayed in Acadia (French colony) and never went back. My father and mother are both Basques. Our last name changed over the years from: Basterechea to Bastarache to Basque. One of my ancestor was named Michel Bastarache called The Basque. In early 1800’s we kept the name Basque and I’m glad we did. If it’s based on blood then the issue becomes what is the quantum of blood (as they used to say in the Old South) necessary to qualify? If it’s the ability to speak Basque then anyone could potentially qualify. Perplexing question relevant only to cogneseti. When I left Euskal Herria, my Aitatxu told me almost verbatim: “Remember son: “the romans were here and they are gone; however, we are still here”. Franco’s txakurras were on my tail then. I like to learn anything and everything about the Basques. Such a mystery to all.Me being one and the information about our heritage being so limited. Anything I can read is really interesting to me. Mine own Basque heritage is symbolic of the Basque ability to migrate and adapt. My ancestors migrated from Nafarroa with others to a Basque colony in central Mexico. My grandfather still spoke some Euskarra though his primary language was Spanish. Thanks. I am a 1961 Mountain Home High School alum. Many Basques were classmates. I have only recently retired for good. I now have time to pursue liberal arts. I was unaware of Mr. Kurlansky’s book. It will be in my library soon. I have read the book and have a signed copy by Mr. Kurlansky. A great book it is. I’m a 3rd generation American-Basque living in the Midwest, my father’s family comes from Ituren, Navarre and my mother’s family comes from Balmaseda, Bizkaia and Lower Navarre. I have been there and was amazed at the architecture and landscape, from the teatro Arriaga, the Guggenheim, the old quarter (El Casco Viejo) to Donostia, Gernika, Getxo and many other places. I will be going back this year, for a much longer visit. Eskerrik Asko-Thank you for your article. Let us not forget our past. 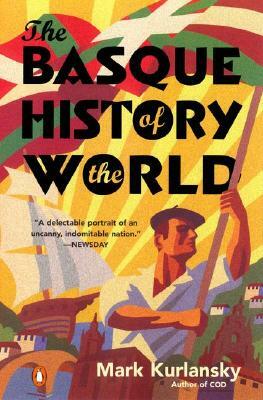 “The Basque History of the World” is one of my favourite books. It was actually the first book I had read when I decided to explore my Basque heritage. I love that it not only deals with Basque history but it includes culture, language, and gastronomy as well. I tried to buy it in Spanish for some family members back in Bilbao who do not speak English and they told me that, apparently, this book has been out of print for several years.